The modern study of human perception is not well reflected in the traditional textbook coverage of sensory receptors (retina, cochlea, corpuscular dendrites of the skin), sensory modalities (seeing, hearing, touch, smell, taste), and perception (attention, motion, objects, scenes). Today the field includes event perception, bidirectional influences between perception and action, music, language, the integration of the senses, human action observation, and the important roles of emotion, motivation, and social factors. 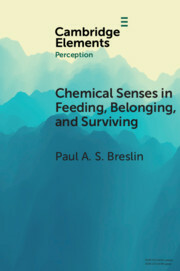 The Cambridge Elements in Perception series is an effort to close the gap between traditional textbook coverage and the way human perception is studied and reported by today's top researchers. Each year 5-6 new articles will be published, combining authoritative literature reviews of foundational topics with forward-looking presentations of the recent developments on a given topic. The articles will introduce new readers to the latest currents of research while also offering an original perspective.